Neuromuscular scoliosis is a direct result of a disease process or injury that has caused the spinal muscles to be deficient in supporting and stabilizing the vertebral column. There are many causative and contributory conditions to neuromuscular varieties of atypical spinal curvature and these conditions can strike at virtually any age. While most often associated with adult scoliosis, neuromuscular varieties can actually fall into any other classification of age, depending on when the disease or injury occurs. Therefore, we can have examples of congenital neuromuscular curvature, infantile neuromuscular curvature, early childhood neuromuscular curvature, adolescent neuromuscular curvature and of course, adult neuromuscular curvature. This investigational essay covers the type of scoliosis that is incited by disease or injury to the central nervous system components and the consequential effects on the musculoskeletal system. Neuromuscular varieties of scoliosis are always consequences of another source process, rather than independent conditions unto themselves. Patients have been stricken with some variety of neurological and/or soft tissue dysfunction that has created deficiencies in the spinal musculature. 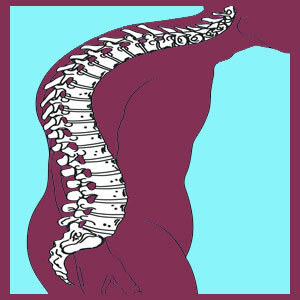 These deficiencies make it impossible for the spine to stay in alignment and the backbone responds by developing atypical curvature, often of a frighteningly severe variety. Of all the various types of scoliosis, neuromuscular varieties usually progress the most and to the degree where intervention is often necessary. Although not inherently painful, most clinically significant neuromuscular curvature patients will suffer reduced quality of life and related functional deficits due to their atypical backbones. Since their original conditions already produce considerable and negative effects physically and psychoemotionally, the added burden of symptomatic scoliosis yet another hardship that they must endure. Myelitis and myelopathy conditions are forms of spinal cord damage that may or may not lead to paralysis. However, since neurological cells are affected, many patients develop related muscular deficiencies and subsequent scoliosis, as well as changes in lordosis and kyphosis of the vertebral column. Severe spina bifida is a very common causation of developed scoliosis, particularly with meningocele and myelomeningocele varieties. Partial and complete paraplegics and tetraplegic are highly susceptible to scoliosis formation, regardless of why they have become paralyzed. Cerebral palsy is a common source of scoliosis due to muscular spasming and insufficiency. Multiple sclerosis patients often develop neuromuscular versions of scoliosis that typically progress to severe stages of development. Muscular dystrophy patients are often affected by severe scoliotic changes in the spine. Other common conditions associated with neuromuscular side to side spinal curvature include Friedreich’s ataxia and myelodysplasia. Neuromuscular spinal curvatures can diminish already reduced physical functionality and make life more uncomfortable for people who are limited in range of movement or paralyzed. 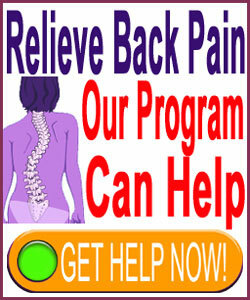 Many patients lose their ability to sit upright and have difficulty with many other postures, as well. Many neuromuscular scoliosis patients suffer organ compression affecting the heart, lungs and other structures. Consequences include reduced cardio and pulmonary functionality, diminished regional circulation and a wide range of related conditions affecting the skin and other internal systems. Most forms of scoliosis that is related to spinal cord or neuromuscular system causation will continue to progress, often rapidly to very severe levels. Conservative care using physical therapy might only provide surface improvements to quality of life, while bracing is virtually always ineffective for most patients. Surgical interventions are commonplace as scoliosis progresses, with some patients enduring multiple operations over timelines spanning many years. Due to the risks of operating on people with such severe health disorders, and the collateral effects on immune system functionality that often accompany them, surgeries can become hazardous, with each one placing the patient at greater risk of worse disability or death during or shortly after the procedure. Therefore, the risk/benefit ratio of any proposed surgery must be carefully weighed, taking into account the patient’s overall health and constitutional fortitude. There are rarely any easy solutions for neuromuscular scoliosis issues, as the conditions that incite them are already difficult to manage and cause hugely detrimental effects to life and general wellness.